The new Nokia 3310 was announced at Mobile World Congress by HMD and now luxury phone company Gresso has announced a new version of the handset called the Presso 3310. 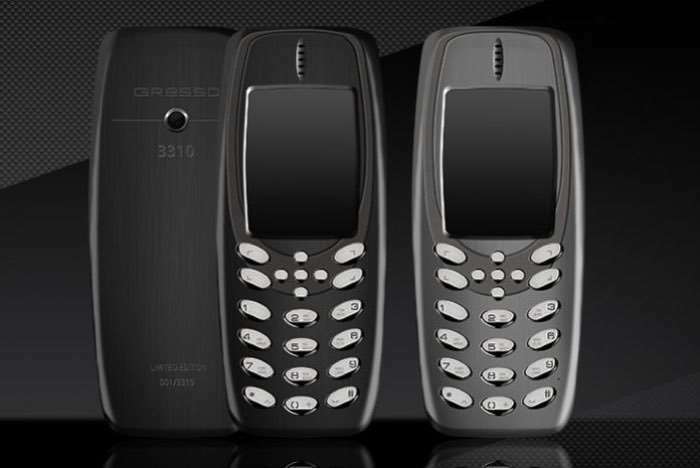 The Presso 3310 is a luxury version of the Nokia 3310 and it will feature a casing which is made from Grade 5 Titanium. The Presso 3310 will come with 32GB of built in storage and will come with a 3 megapixel rear camera and it will be limited to a total of 3310 handsets. It looks like Gresso may have set a high price tag on the device as it is said to cost around $3,000 when it launches.